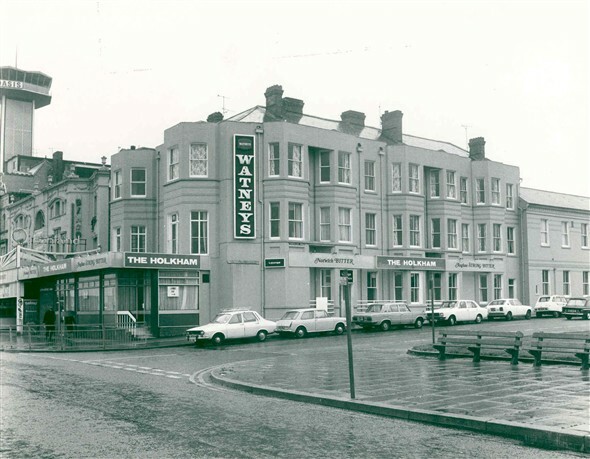 I think the front of this Hotel was a bar called the Longshore, it had entertainment on in the 1970's. What was the name of the restaraunt across from this hotel? I think its a noodle bar now. There was a shellfish stall at the very front of the hotel before the bar was extended. The guy's name who ran it was Joe. Maybe the same one?? 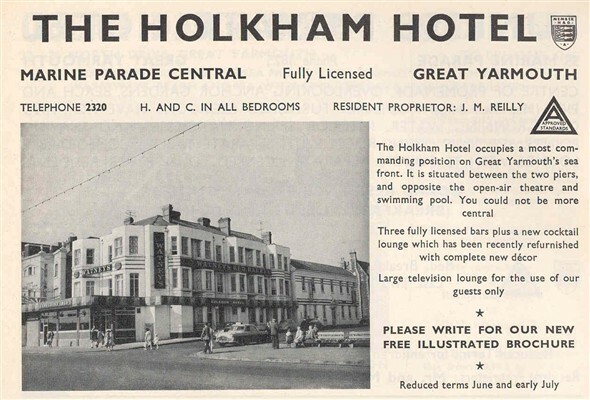 I am joe symonds grandson he had the shelfishstall on the forecourt of the Holkham Hotel which was later run by his son Frank when the stall closed he openend a fish chip shop in Nelson Road central I spent many long hours in the fish stall picking whelks out of the shells. the restaurant opposite the Holkham hotel was the Metropol There was a burger bar along side that run by a Mr Arms if that is the correct spelling and to the right of that was a fresh fruit stall. My father was Frank Symonds His Father was Bertie Symonds my father took it over when he died .....My mother started the fish shop on Nelson road long before the stall on the sea front closed down, my father was not called Joe or his Father either it was just a name they used on both the fish shop and stall.